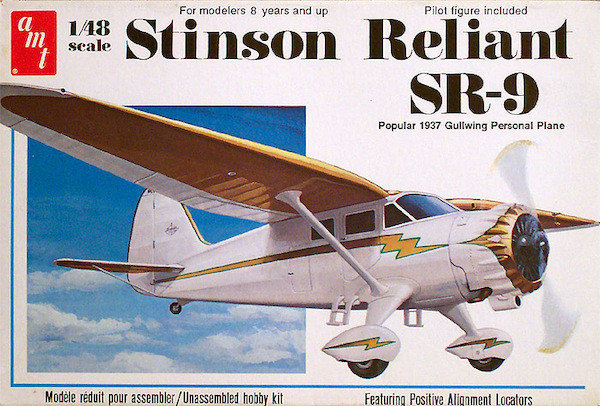 AMT’s 1:48 scale Stinson Reliant SR-9 kit builds into an authentic replica of the popular 1937 gullwig. It’s suitable for beginners and seasoned aircraft enthusiasts alike! With full color decals and vintage packaging, it’s another great kit in AMT®’s line of aircraft kits originally introduced in the 1970s with positive parts locators for easy assembly!